This summer, we are reuniting with wonderful artists from past projects. Mezzo Mary Kathryn Monday of OPHELIA TRANSFORMED and our 2016 Summer Retreat joins us for FAR AND NEAR, a concert of classical and popular music that explores distances both big and small. I’m Mary Kathryn, singer, traveler, and yogi! I also work in special events. I live on the Upper West Side! I love that it’s a true neighborhood where I walk down the block and say hello to my neighbors. It’s also home to the most artists in the city, so I’m in good company! Life is a journey with many twists and turns. My yoga practice led me all the way to France last year and keeps helping me learn how to navigate through the unknown. My favorite yoga pose at the moment is side angle because it helps me find more space in my back to breathe and it makes me feel strong! I could tell my whole life story through music. From bringing memories to life through performing or being transported back to a specific memory through listening, music is the continuous thread that weaves all of the memories together. I’m so lucky that music has always been a part of my life and I don't know what I would do without it! Pauline Viardot, who not only was a mezzo-soprano but also a composer. I’m fascinated by the whole musical salon scene so I would love to transport back to see her perform and meet everyone in that iconic circle. Top two compositions by Pauline that you'd recommend? "Hai Luli" and "Les Filles de Cadix!" I can’t get enough of Paris. 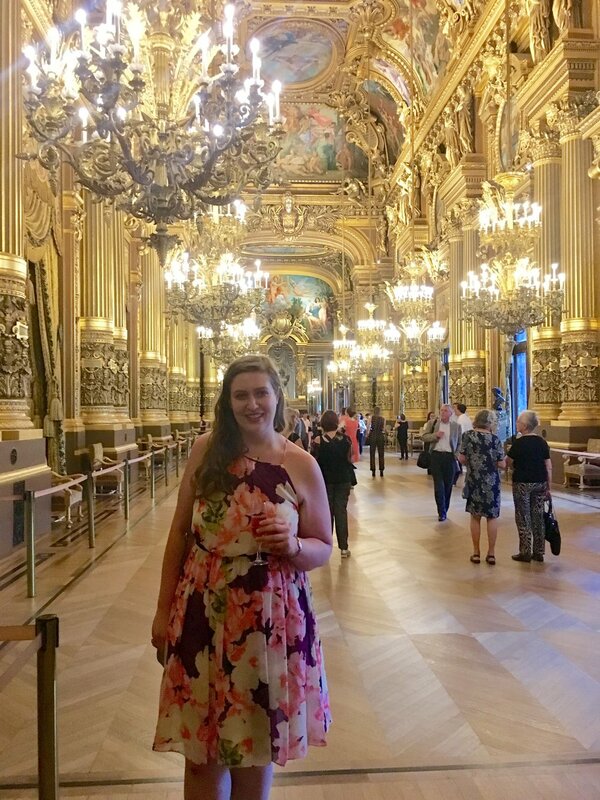 I love French music, paintings, and culture... it’s been the top of my list ever since I visited! Recently, I began volunteering with ASTEP (Artists Striving to End Poverty) and it’s been incredible to see kids literally be moved by music. Somehow music connects everyone and creates a sense of freedom for the kids to dance, smile, and even conduct along. During sessions, I’ve even had some kids open up and share what connects them to a specific song. The entire experience of sharing my art with them and seeing the effects of creating art together has been so rewarding! Join Mary Kathryn on June 25th for FAR AND NEAR. Please make sure to RSVP for this event! 2016 Summer Retreat, Trivia Night at The Saratoga Winery. 2016 Summer Retreat. Favorite Tunes concert.